On Sale Now! 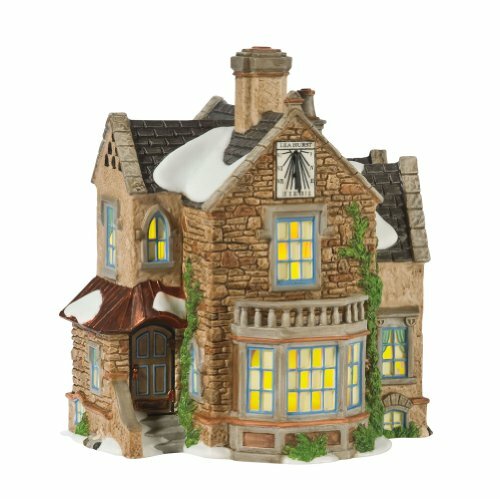 Save 7% on the Department 56 Dickens' Village Lea Hurst House Lit Building by Department 56 at Home Decor Outlet Store. MPN: 808869. Hurry! Limited time offer. Offer valid only while supplies last. Department 56 Villages set the gold standard for Holiday lit houses. The Dickens' Village Series of hand-painted porcelain houses debuted in 1984. Department 56 Villages set the gold standard for Holiday lit houses. The Dickens' Village Series of hand-painted porcelain houses debuted in 1984. Victorian England at the time of Charles Dickens was a center of culture for the world, where many traditions we celebrate today took shape. This series will inspire your feelings of Christmas past and yet to come. in 2010 we continue to celebrate the 25th Anniversary of the Dickens' Village Series. Department 56 "Great Denton Mill"